Annyce Campbell has lived in the same house in Mound Bayou, Mississippi, for over two-thirds of her life. She raised 12 children in the home, teaching them to respect themselves and to respect their community. She raised them quietly and diligently, wanting them to have more opportunities in their lives than she had in hers. 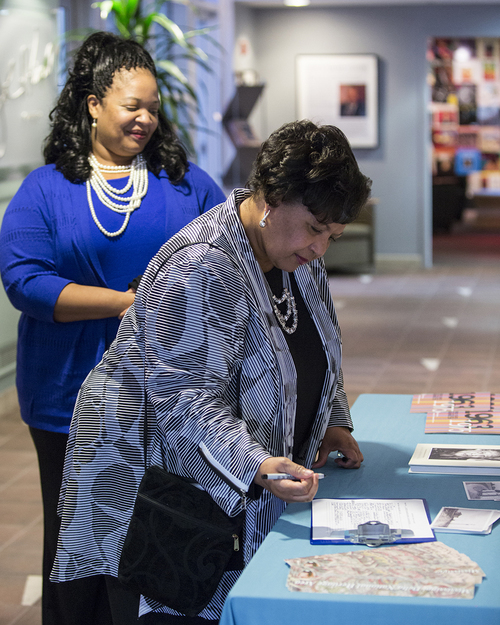 On March 13, Campbell was recognized for her strength and commitment at a Women’s History Month and National Park Service Centennial presentation at the Smithsonian Anacostia Community Museum in Washington, D.C. The event was a Delta Jewels Oral History Partnership program organized by the Mississippi Delta National Heritage Area, The Delta Center for Culture and Learning at Delta State University, and University of Mississippi journalism professor Alysia Burton Steele, author of “Delta Jewels: In Search of My Grandmother’s Wisdom.” The book is a collection of oral histories and portraits featuring 54 African American church mothers from the Mississippi Delta. Campbell’s portrait is featured on the book’s cover. For Steele, the presentation served as a reinforcement for the importance of gathering oral histories. Her family sat in the audience to hear her speak for the first time, finally under-standing what she strives to do as a journalist. Seeing the way the audience embraced Campbell was also a poignant moment. The Delta Center for Culture and Learning serves as the managing entity for the Mississippi Delta National Heritage Area. 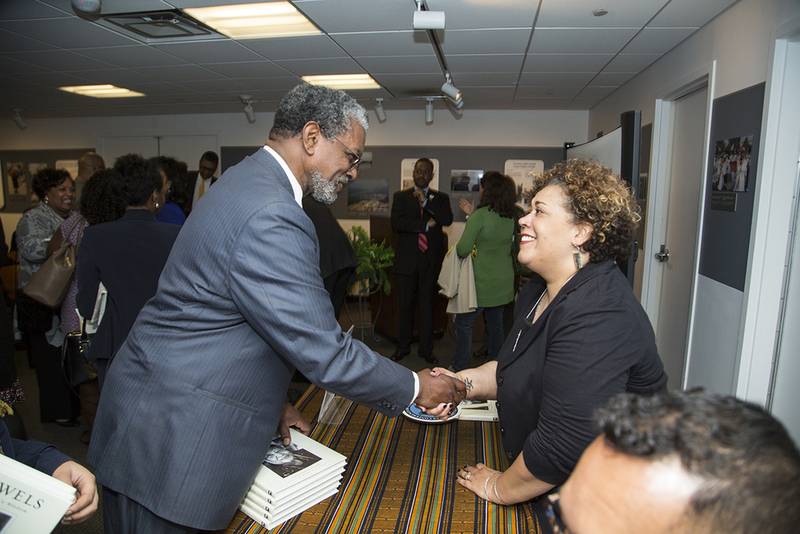 The MDNHA creates partnerships that promote and empower the Mississippi Delta’s people and communities to tell their stories and to celebrate their pride in the region’s unique and diverse cultural heritage. The MDNHA is one of 49 National Heritage Areas, which are cultural heritage partnerships with the National Park Service. All areas are being encouraged to commemorate the National Park Service Centennial. 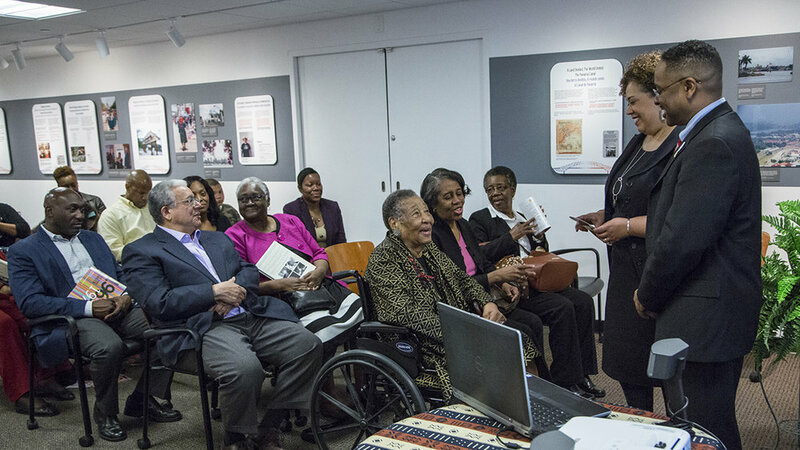 The Mississippi Delta National Heritage Area's Delta Jewels Oral History Partnership Program at Smithsonian Anacostia Community Museum featured in the Spring 2016 National Heritage Areas Newsletter. According to Tyler, National Heritage Areas program manager for the National Park Service, this year’s centennial celebrations are intended to engage the next generation of visitors, supporters and advocates, and the 49 congressionally designated Heritage Areas around the country are an integral part of the process. “National Heritage Areas help us achieve this goal by exposing grassroots movements, heritage tourists, and community members to the benefits of having a partnership with the National Park Service in their community,” said Tyler. 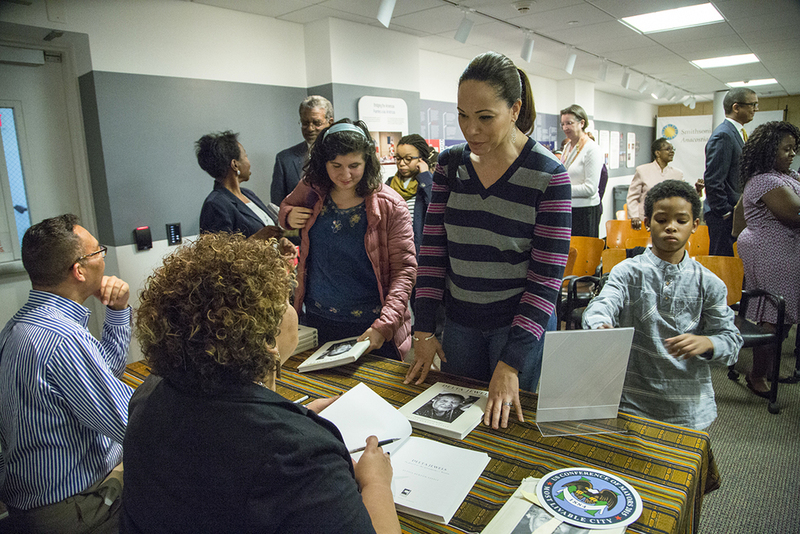 The Smithsonian presentation attracted over 70 guests who were eager to hear from Steele and Campbell, as well as to learn about the MDNHA. 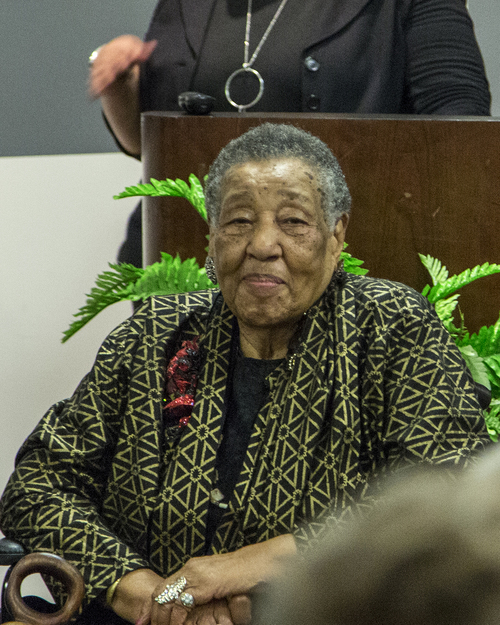 In addition to receiving words of wisdom directly from Campbell, audience members were treated to a presentation from special guest and Mound Bayou native Reena Evers, daughter of civil rights activists Myrlie Evers-Williams and Medgar Evers. 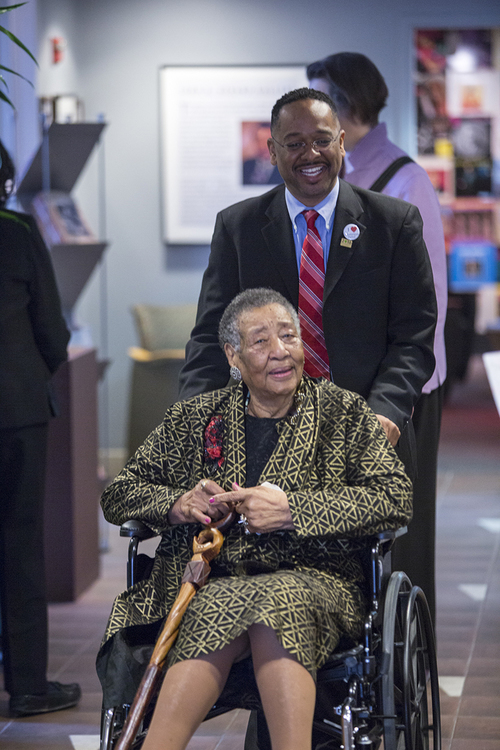 Myrlie Evers-Williams also is a Delta Jewel. 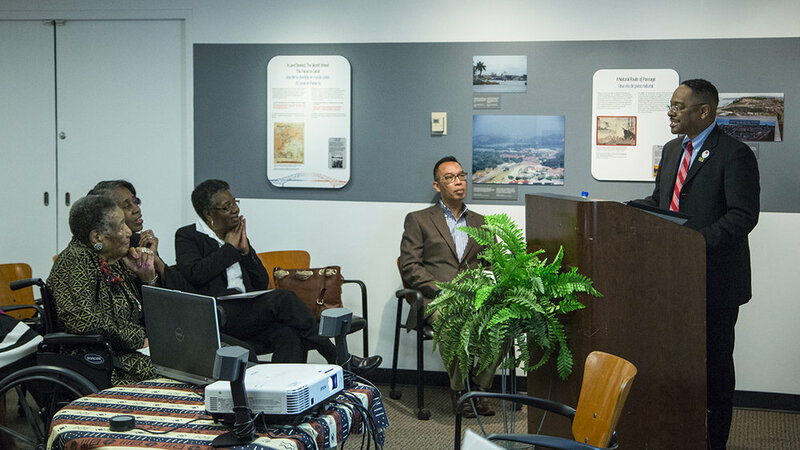 The Smithsonian presentation follows a series of successful Delta Jewels presentations which have engaged over 700 Delta residents and visitors from diverse backgrounds in several Mississippi Delta communities including Clarksdale, Cleveland, Charleston, Indianola, Itta Bena, Mound Bayou, Ruleville, Vicksburg and Yazoo City.